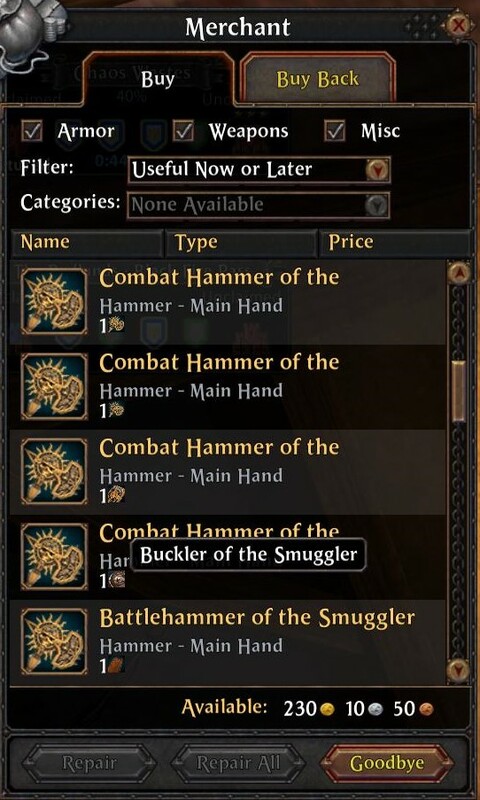 It should be possible to trade a Buckler of the Subjugator to a Combat Hammer of the Smuggler. But instead you need a Buckler of the Smuggler. And you can't buy a Buckler of the Smuggler with a Buckler of the Subjugator.